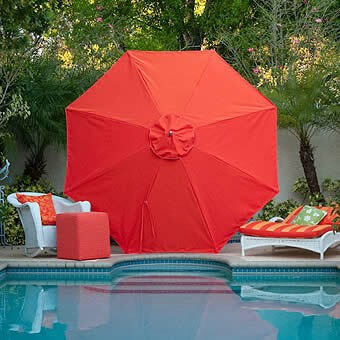 The most stylish sun block you’ll find! 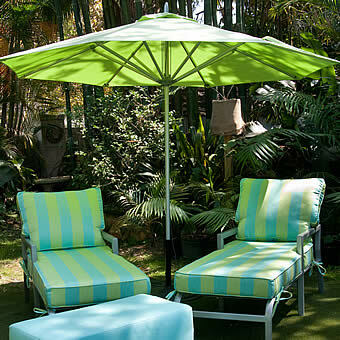 Enjoy outdoor breezes in style while protecting yourself from the harshest rays of the sun. 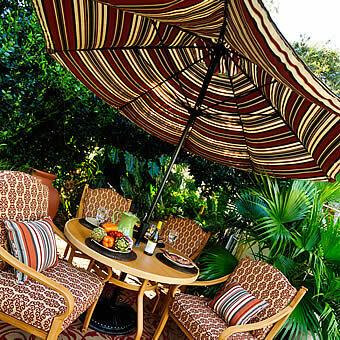 With colors and patterns that coordinate with our other furnishings to complete your look, our patio umbrellas are made for fun in the shade right here in the USA.